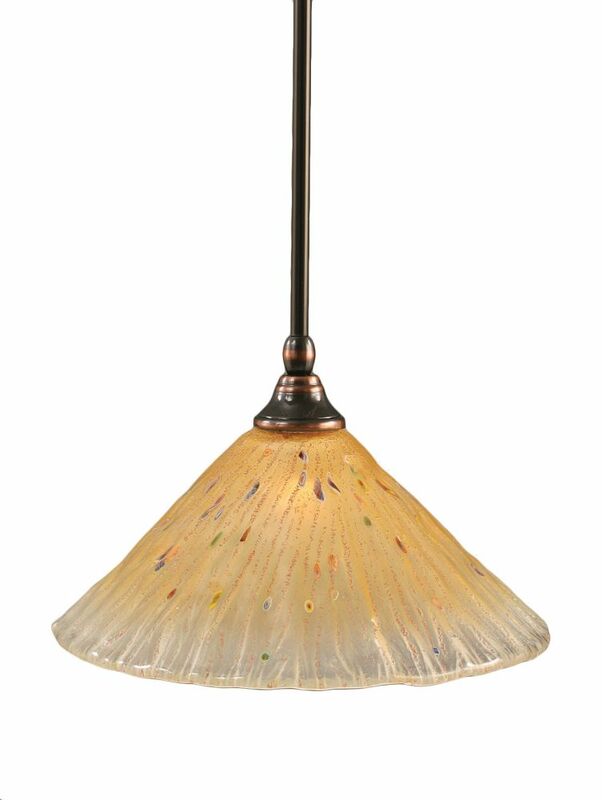 Concord 1-Light Ceiling Black Copper Pendant with an Amber Glass is rated 4.0 out of 5 by 1. Rated 4 out of 5 by Lu from This lamp was easy to install and the lamp shade has flecks of color that are appealing. This lamp was easy to install and the lamp shade has flecks of color that are appealing.